The device has a chassis that is just 19.5 mm thick and comes with total weight of 1.99 kilograms. 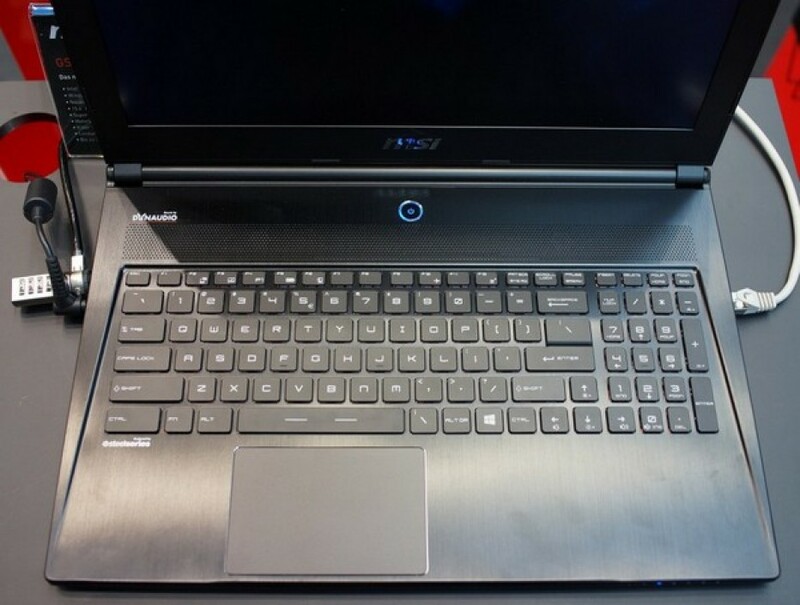 As expected from a gaming notebook the GS60 Ghost Pro is based on the latest Intel Haswell Core i7 processors, in addition to this one expect to get a 15.6-inch display that works at WQHD+ resolution (2880 x 1620 pixels, 16:9 aspect ratio), a GeForce GTX 860M graphics card on the latest NVIDIA Maxwell architecture, up to 16 GB of DDR3L-1600 memory, a mSATA SSD disk, 802.11ac Wi-Fi, Bluetooth, three USB 3.0 and two USB 2.0 ports, MiniDisplay, HDMI and D-Sub outputs, two Hi-Fi speakers, a 720p web camera, a SteelSeries keyboard and a 9-cell battery. The notebook also supports the MSI Cooler Boost functionality that increases the cooling efficiency of the notebook. The GS60 Ghost Pro will arrive in April and will cost between USD 2200 and USD 2800 depending on the hardware inside.